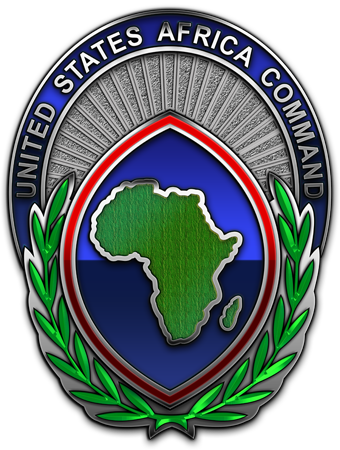 The United States African Command (AFRICOM) has sought for more Collaborative efforts in terms of Training and Security between the U.S and Nigeria. The Commander AFRICOM General Thomas Waldhauser made this declaration while delivering a lecture for Course 25 Participants at The National Defence College, Abuja. The Commander re-iterated the U.S Government’s determination to continue to partner with Nigeria in the areas of Defence and National Security. Highlighting the vision of AFRICOM, the Commander said, “We intend to build Defence capacity and promote Regional Security through Strategic Leadership Training with the Nigerian Military”, adding that this effort will further strengthen the ties between both Countries in particular and Africa in general. The objective of the lecture was primarily to strengthen and deepen Defence capabilities between both Countries, improvement in the Information Sharing, Training, Deterring and Defeating Transnational Threats and Increasing the Partnership with AFRICOM to respond to Crisis situations in the African region. He further hinted on the best practices expected from Senior Military Personnel for Strategic Leadership adding that Officers must learn to trust their Subordinates, be more transparent and Innovative, and must strive to decentralize decision-making for the effective discharge of their duties. He said Officers must be broad and more in-depth in their thinking, and must exercise high level of physical and mental toughness on and off duty. In his remarks, the Commandant, National Defence College, Rear Admiral Sanmi Alade thanked the Commander, AFRICOM for the visit and called for more collaboration between the College and the International Community. College and the International Community.